Multifunction actuator. 4 x 10A outputs / 6 inputs. 2 DIN rail units. 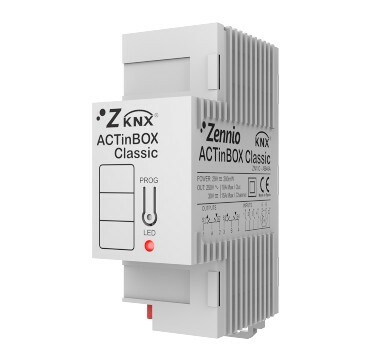 ACTinBOX Classic-Hybrid is a powerful multifunction actuator with 6 inputs and 4 outputs. It stands out for its simplicity and flexibility. In addition, it allows the connection of one temperature probe (thermostat function included) and one motion sensor. It includes advanced logical functions.